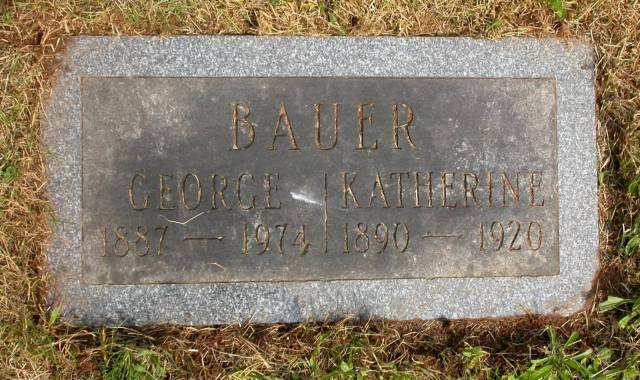 George’s wife Katie died suddenly on June 1, 1920, leaving him alone to raise their three young daughters. Katie was only 30 years old. George's mother, Maggie Bauer, moved in with him at the home in Irvington to help him with the children. 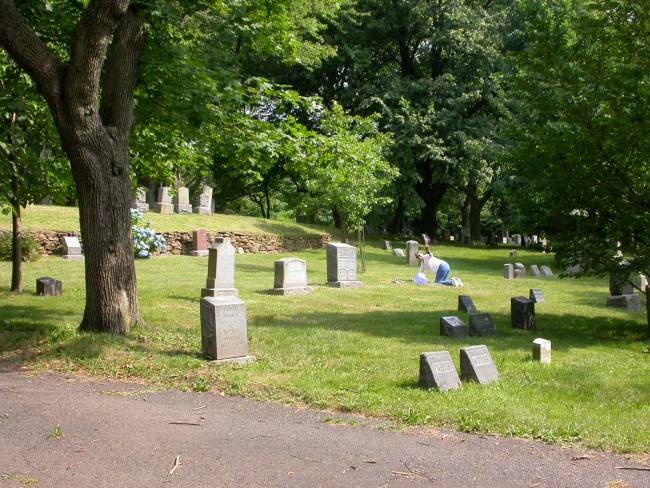 After living all his life in Irvington, George moved to Chatham N.J. in 1971. He died there on March 22, 1974 at the age of 87. For a while this marker was a mystery. Was "Lottie" related to George and Katie? 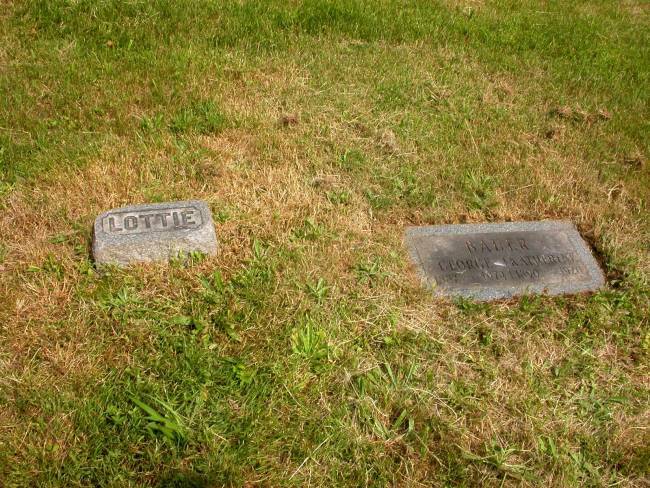 The Clinton Cemetery Association, in the person of Alan Siegel, solved the puzzle by telling us that "Lottie" was Lottie Olner, and she's buried in Section 2, Row 5, Grave 147. George and Katie are Section 2, Row 4, Grave 105. Close, but a different row. 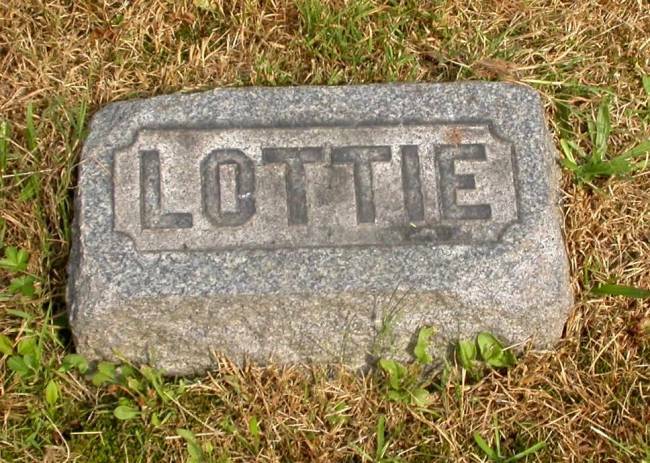 According to Alan, Lottie died in 1903.